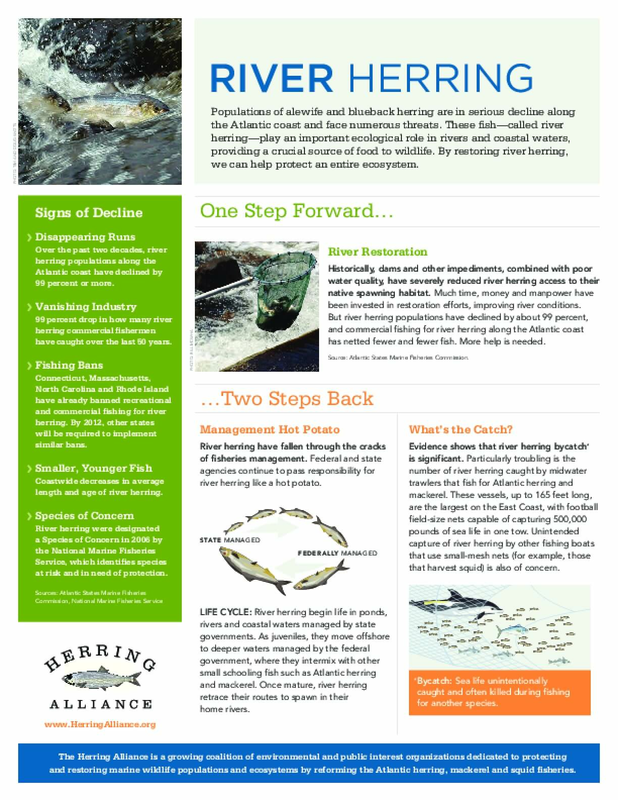 Populations of alewife and blueback herring are in serious decline along the Atlantic coast and face numerous threats. These fish—called river herring—play an important ecological role in rivers and coastal waters, providing a crucial source of food to wildlife. By restoring river herring, we can help protect an entire ecosystem. Copyright 2011 by Herring Alliance. All rights reserved.